Backlog management starts at the very beginning – with prudent regional center partnership. Developers and new commercial enterprise managers need to properly diligence their regional center partners. For their part, regional centers will want to show that they are built to last through visa backlogs and changes in the law. Under current policy, regional center terminations and affiliation changes jeopardize investors’ immigration. Legislative changes will also likely make regional center operations more costly. Carolyn Lee PLLC has the experience and process to help clients enter into this critical partnership backed by due diligence. Even with utmost diligence, sometimes things go off-track. The long project lifespan visa backlogs impose makes changes inevitable. 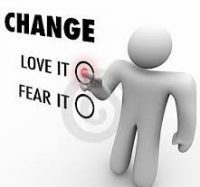 Evaluating the many changes and potential immigration impacts requires nuanced and multi-factored analysis. Founder Carolyn Lee has written about “material change” since USCIS first introduced the policy in 2009. She has parsed both the underlying authority and presented practical approaches. With her early background in structured finance, Carolyn Lee is uniquely suited to help clients evaluate project changes from an immigration perspective. Moreover, with her extensive experience restructuring for Form I-829 approvability, the counsel is solution-oriented. Project clients are empowered to take steps to protect investors. Redeployment is one of the most difficult areas of EB-5 advising today. The 2017 policy is new and the guidance unclear. 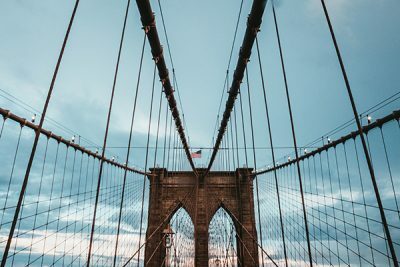 Diligent clients acting in good faith wonder how to move forward with confidence when the EB-5 loan is repaid but investors will be waiting in the visa backlog for years to come. What everyone needs is clearer USCIS guidance. In the meantime, Carolyn Lee PLLC helps clients evaluate proposed plans alongside the guidance to support informed decisions. Advising in this area involves close dialogue and often rounds of refining the final plan. Investors stuck in the long visa wait line need independent evaluation of their options, tailored to individual circumstances and family makeup. There may be avenues that have not yet been explored. Thorough document review coupled with understanding of the investor’s particular goals can shed light on an investor’s situation. Beyond that, creative problem-solving may even locate a bright spot among seemingly dim prospects. 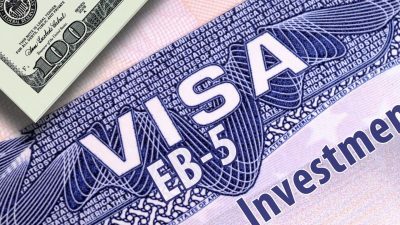 Other investors are considering queuing up for an EB-5 visa and wonder how best to structure viable EB-5 immigration plan alongside other long-term planning needs. With a firm commitment to remain rooted in fundamentals, Carolyn Lee PLLC explores innovative solutions for investors who want to come into the EB-5 Program with eyes open to both challenges and opportunity.